Learn what it takes to produce a marketable and meaningful documentary or docuseries from the producers of such major documentaries and docuseries as FINDERS KEEPERS, JIRO DREAMS OF SUSHI, CHEF'S TABLE, and BEING: MIKE TYSON. Andrew Fried is a prolific director and producer, specializing in creating premium unscripted programming. As President and founder of Boardwalk Pictures, Andrew has collaborated with some of the most influential tastemakers in sports, music, and entertainment, and his television shows have aired on more than 20 different broadcast, cable, and digital networks. Most recently, Boardwalk Pictures has been lauded for its Netflix original series, Chef’s Table, which was the winner of the 2015 IDA Documentary Award for Best Episodic Series and was a 2015 Emmy nominee. Andrew is both a Director and Executive Producer on this series. Andrew’s other recent credits include Iconoclasts (Sundance Channel), Being: Mike Tyson, The Pecos League, Back of the Shop and Road to the Show (Fox Sports 1), That’s Racist with Mike Epps (AOL), The Conversation (Lifetime), Britney: for the record (MTV), and the Emmy-Award nominated Storymakers (AMC), among many others. A native Virginian living in LA, Clay made his directorial debut on the documentary “Make Believe,” chronicling six teenagers battling to become the world’s best teen magician, which won the Grand Jury Prize at the LA FILM FEST in 2010 and is currently running on Showtime networks. Clay’s next film, “Print the Legend,” premiered at SXSW and was awarded the Special Jury Recognition for Storytelling and Editing. The film was bought by Netflix Originals and premiered in theaters and online in late 2014. His next film, “Finders Keepers,” premiered at Sundance 2015 to rave reviews and was bought by the Orchard. Clay was back at Sundance and SXSW again this year with the film “Gleason,” which was picked up by Amazon Studios and Open Road Films. It will be released later this year both theatrically and on Amazon streaming services. He is currently developing numerous projects in both the scripted and documentary worlds. Elsa Ramo is an established entertainment attorney, representing producers, financiers, and production entities in film, television, and digital content. She graduated from University of San Diego School of Law in 2002, and began her career by establishing the Los Angeles office for Davis Dixon Kirby LLP (a royalty litigation firm). After several clients approached her to handle their independent productions, she founded her own firm on the Universal Studios backlot in 2005. Ramo Law PC is now located in Beverly Hills. Her law firm has seven full time attorneys, a packaging and sales executive, and a full staff who provides production, distribution and finance legal services in feature films, documentaries, scripted and unscripted television and digital content. Their television credits include series on Crackle, MTV, Netflix, Hulu, and Bravo. Some recent film credits include: STILL ALICE (Julianne Moore, 2015 Best Actress Oscar™ Winner), FURY (Brad Pitt), STANFORD PRISON EXPERIMENT (Billy Crudup) which won an award at Sundance this year, STOCKHOLM, PENNSYLVANIA (Saoirse Ronan), and SHORT TERM 12 (Brie Larsen). Her expertise has been featured in numerous outlets, including Indiewire’s Women to Watch, The Daily Journal, The Wrap, Forbes, and Latino Weekly. Additionally, she has lectured about entertainment law and the film and television industry for the California Lawyers for the Arts, Film Independent, LawReviewCLE, and the Institute for International Film Financing. In May 2010, she was awarded an Artistic License Award along with Maria Shriver by California Lawyers for the Arts for her outstanding pro-bono work providing artists and arts organizations with legal services. In October 2014, she was listed in Variety’s 2014 Women Impact Report. She lives in Santa Monica with her husband and son. Ross M. Dinerstein is the founder and CEO of Campfire - a film, television, and digital development and production company. Dinerstein is one of the most prolific independent film producers in Hollywood having produced or executive produced over thirty films over the last twelve years. Dinerstein’s films have premiered at the most prestigious film festivals in the world including Sundance, South by Southwest, Tribeca, and Toronto. Over the last few years, Dinerstein has focused his producing efforts on creating elevated “midnight movies” including THE PACT, MR. JONES, THE DIVIDE, and THE DAY and documentaries including JIRO DREAMS OF SUSHI and THE NIGHTMARE. His latest documentary, SILICON COWBOYS, will be premiering at the 2016 South By Southwest Film Festival. In 2015, Dinerstein has served as an Executive Producer on the films THE DEVIL AND THE DEEP BLUE SEA starring Jason Sudeikis, Maisie Williams, and Jessica Biel, YOUTH IN OREGON starring Frank Langhella, Billy Crudup, and Christina Applegate, and the documentary TOM SWIFT AND HIS ELECTRIC RIFLE. 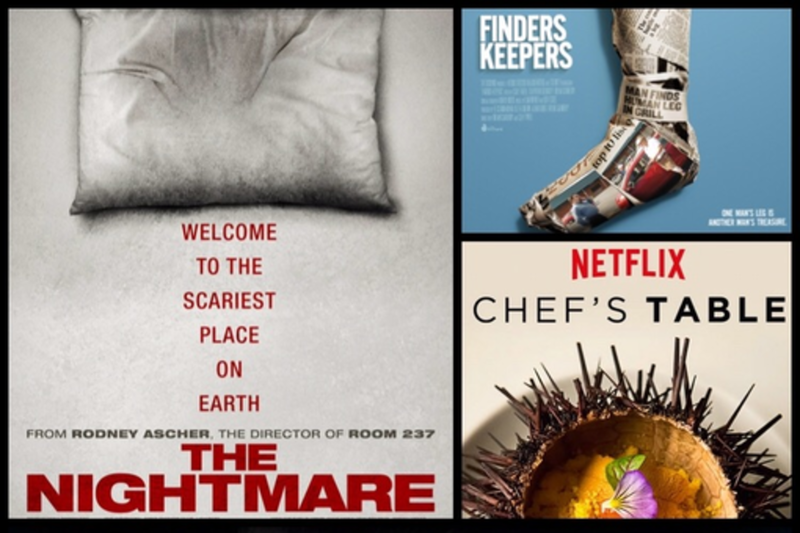 Dinerstein/Campfire has recently entered into a multi-picture deal with Netflix to produce original movies generated. by Campfire. REBIRTH, the first film from the Netflix collaboration, is currently in post-production and stars Fran Kranz and Adam Goldberg. CLINICAL, the second film from the Netflix collaboration, begins production in April and stars Vinessa Shaw. Dinerstein began his career in 2001 working in the Acquisitions Department at Miramax Films. He has a Master’s Degree in Motion Picture Producing from the USC School of Cinema and Television’s Peter Stark Producing Program and an undergraduate degree in Economics and Film Studies from Vanderbilt University. He was born and raised in Houston, TX and currently resides in Venice, CA with his wife Liz, daughter Lucy, and son Abbot.